Iran has hailed the election of a new Iraqi parliament speaker, saying it is an “important and necessary” step towards establishing a new government in the Arab country. 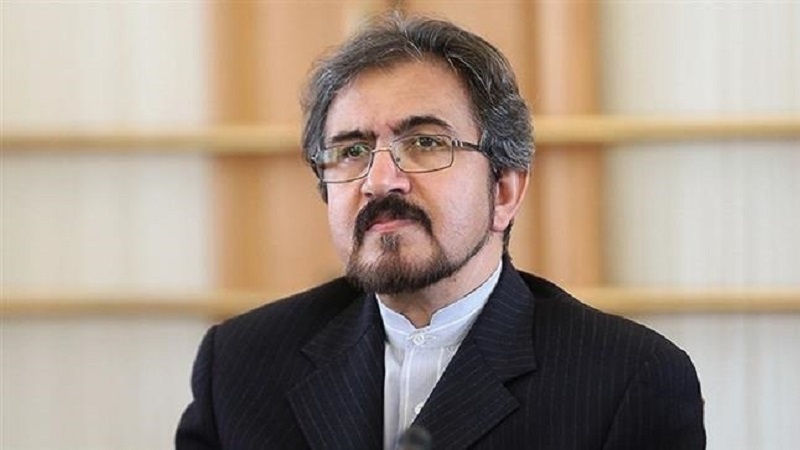 According to Press TV, Iranian Foreign Ministry Spokesman Bahram Qassemi on Saturday extended his congratulations to Mohammed al-Halbousi on his election as Iraq’s new Parliament Speaker. “The Islamic Republic of Iran has always supported Iraq’s democracy, territorial integrity and national sovereignty and backs decisions made by people’s elected representatives,” Qassemi added. Earlier in the day, Iraq’s Parliament elected al-Halbousi, former Governor of the Western Province of Anbar, as speaker, making the first step towards forming a new government four months after national elections. Al-Halbousi, who had previously served in Iraq’s Parliament from 2014 to 2017, tallied 169 votes to beat out former Defense Minister Khalid al-Obaidi’s 89, according to Lawmaker Husham al-Suhail. Iranian Parliament Speaker Ali Larijani also on Saturday offered his congratulations to al-Halbousi, expressing hope that parliamentary relations between the two countries would be further expanded during his tenure. Any new government has to move quickly to address the country’s chronic woes, including the poor quality of basic services as well as political and economic mismanagement. It would also have to face the mammoth task of rebuilding the country following three years of struggle against the Daesh Takfiri terrorist group.